Pinnuto F006042P Preview DBHL 1215mm FF Rv Conte F SCMAC 1945 French or Italian? Pionyr K-M F006045P DBHL 570mm FF Rvd Simple Czech stick design can be glider. 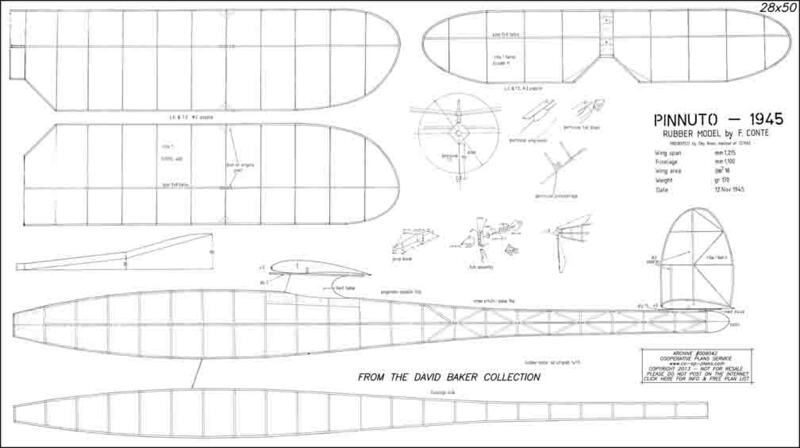 Piper Cub F006049P DBHL 1120mm FF Rsc Les Plans Guillemard French plan on 2 shts. Jumbo Rubber candidate?